The most expensive homes in the Netherlands are once again found in the coastal town of Bloemendaal near Haarlem. The average price for a house was €776,0000 in 2017, according to a new report published jointly by the national statistics office CBS and the land registry on Thursday. This was well above the national average of €263,000 last year and far above the average €141,000 paid in the northern port city of Delfzijl, reckoned to be the cheapest in the country for housing. The price differences last year were wider than in 2016, the CBS said. Average house prices in Bloemendaal were 5.5 times more expensive than in Delfzijl in 2017 but only just over five times higher in the previous year. Aside from Bloemendaal, average house prices above €500,000 were also found in Waasenaar, Laren (Noord-Holland), Blaricum and Heemstede. 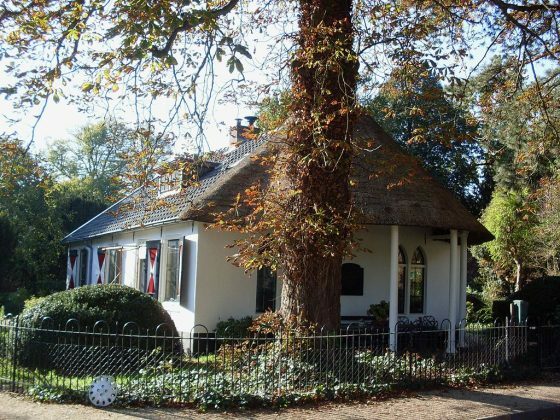 A year earlier Heemstede failed to top the €500,000 mark with an average of €448,000, but Rozendaal did with €544,000. Delfzijl was the only town in the Netherlands with an average house price below €150,000 in 2017. In 80% of the towns surveyed, the average house price varied between €195,000 and €337,000. The average house price is below €195,000 in 10% of the towns; these are mostly located on the edges of the country in Groningen, Friesland and Limburg provinces. In the highest segment, sales prices were between €337,000 and €776,000. Amsterdam falls in this category with average home prices pegged at €406,000.